artists as diverse as; Jeff Beck, Billy Cobham, Ginger Baker, Eddie Harris, Jack DeJohnette, John McLaughlin, Oumou Sangare, Usher, Whitney Houston, Imogen Heap, Sir George Martin, State of Bengal, Hermeto Pascoal, David Garibaldi, Jan Hammer, Ty, Zoe Rahman, Jim Mullen, Ronnie Wood, John Serry, Andy Summers, Django Bates, Gary Husband, Chante Moore, Lulu, Nitin Sawhney, Lenny White, Chad Smith, Courtney Pine, Jocelyn Brown, Jason Rebello, Brice Wassy, Neneh Cherry, Nikki Yeoh, Bernard Purdie, Iain Ballamy, Bill Bruford, Julian Joseph, Leni Stern, Mory Kante, Keith More, Trilok Gurtu, Aster Aweke, S-Club 7, Talvin Singh and Pee Wee Ellis. Michael entered the Pop, R&B, Funk and Dance music world, composing tracks on albums by funk trombone legend Fred Wesley and singer/songwriter, Lewis Taylor. 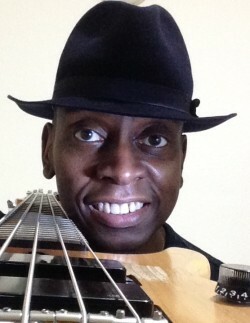 Michael Mondesir uses: Yamaha Basses, Costalab Pedals and Elixir Strings. Stuck In A Practice Rut? Is The Music Business Really Dead? Should I Learn To Read Music?